Screenwriter Jeremy Dyson praises the supernatural stories of British author Robert Aickman, and argues they should receive greater recognition. From December 2011. Screenwriter Jeremy Dyson praises the supernatural stories of British author and conservationist Robert Aickman and argues they should receive greater recognition for their contribution to literature. Robert Aickman was the grandson of the prolific Victorian novelist Richard Marsh whose occult thriller The Beetle (1897) was in its time as popular as Bram Stoker's Dracula. Aickman is best remembered today for co-founding the Inland Waterways Association, but his Grandfather's work influenced him to write around fifty so called "strange" stories involving the supernatural and macabre over a thirty year period starting in the late forties. In recent years League of Gentlemen writer Dyson has adapted Aickman's work into various forms of Drama including the BBC Radio Four play 'Ringing the Changes'. 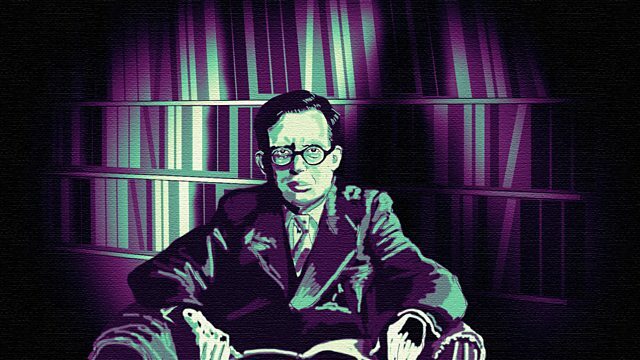 By speaking with fans of Aickman and introducing students to his work for the first time, Dyson argues that Aickman's literary gifts have been undervalued and during his lifetime he should have received greater critical acclaim.